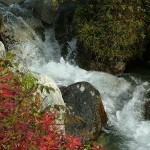 Experience the best of Nature’s bounty in Alaska! This independent driving tour is designed to give you time to explore some of the most scenic areas in Alaska and tour the two popular Alaska destinations, The Kenai Peninsula and Denali National Park. The variety of activities in this tour includes something for everyone. 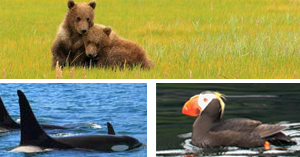 Your tour begins with two days on the Kenai Peninsula, where the plentiful rivers are surrounded by the lush rainforest of the Kenai National Wildlife Refuge. You will then travel up the coast along Turnagain Arm and Cook Inlet. Keep an eye out for Beluga Whales here! You will marvel at the views of mountains and wildlife, such as moose, caribou and even bears while traveling through the Matanuska Valley and Denali National Park. 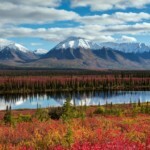 This tour is one of the best programs to explore Alaska on your own, especially for outdoor enthusiasts.